Peak Resorts Inc. on Wednesday announced the completion of $31 million in capital improvements at Mount Snow and Hunter Mountain. 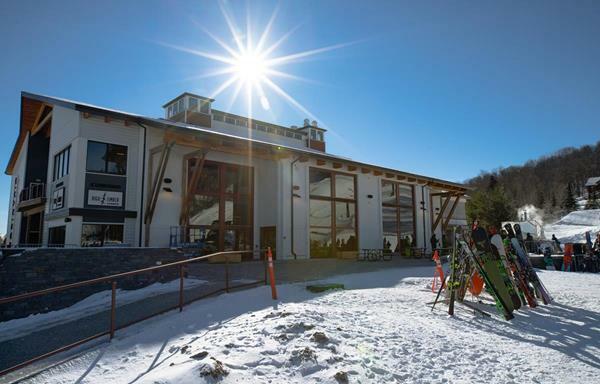 Peak Resorts opened the new Carinthia Base Lodge at Mount Snow on December 22, expanding the on-mountain offerings at the company’s flagship property. The new, state-of-the-art, 42,000-square-foot lodge is five times the size of the lodge it replaced and includes the high-end amenities that Mount Snow’s growing visitor base have come to expect. Amenities include a full-service sit-down restaurant named Iron Loft, the new High Timber Lounge, and multi-station cafeteria High Timber, along with retail offerings, rental facilities, tuning, and a private lesson desk. The lodge also features an expansive 9,000 square foot outdoor seating deck complete with fireplace and bar which has quickly become the latest and greatest après ski destination for Mount Snow guests. Hunter Mountain, in the Catskill Mountains of New York, dropped the ropes to its significant terrain expansion, Hunter North, on December 24 following more than eight months of construction, marking the largest resort terrain expansion in the East in 15 years. The Hunter Mountain team cut five new trails—four intermediate and one beginner—and four new gladed skiing areas on the undeveloped portion of the mountain between the main face and Hunter West, driving an 80 acre or 33 percent expansion of the resort’s terrain offerings. Serving the new terrain is a brand new, high-speed six-passenger chair lift called the Northern Express which brings skiers and riders to the top of the Hunter North area in three-and-a-half minutes, as well as a fully-automated, state-of-the-art low-energy snowmaking system. Guests have been finding their way to the new resort entrance and base area off Route 23a as well as the 250 new parking spaces at the foot of the Northern Express.